Update on my attempt for the complete N64 collection Boxed with manuals. I started this journey with 12 boxed games and then I did my first ever online transaction for a Video game after collecting since 2002. That title was NBA Jam 99 and I bought it on Feb 12th 2013. Then when I did my last update in april I was currently at 77 boxed games. Since then I have made a big jump. 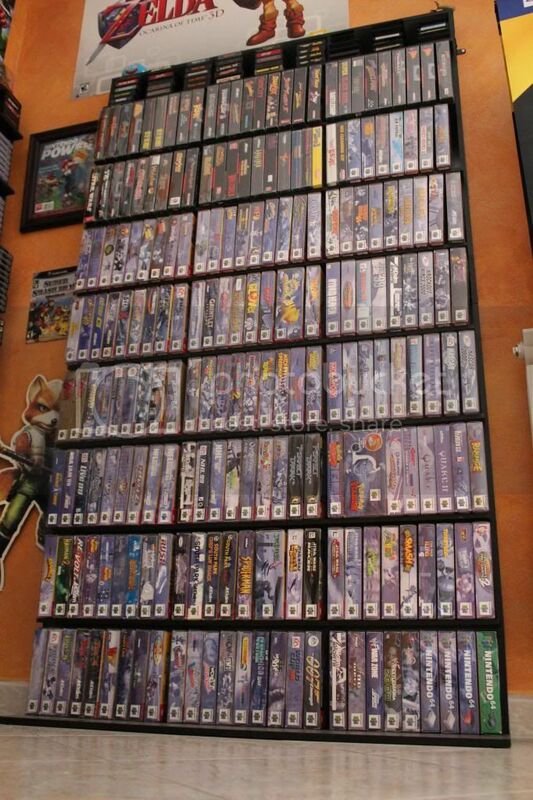 I am now rocking 160 different boxed N64 titles out of the 296 released for the system in America. Over half way and loving it. While I do have a handful of the titles out of the way I only have a few of the expensive titles. 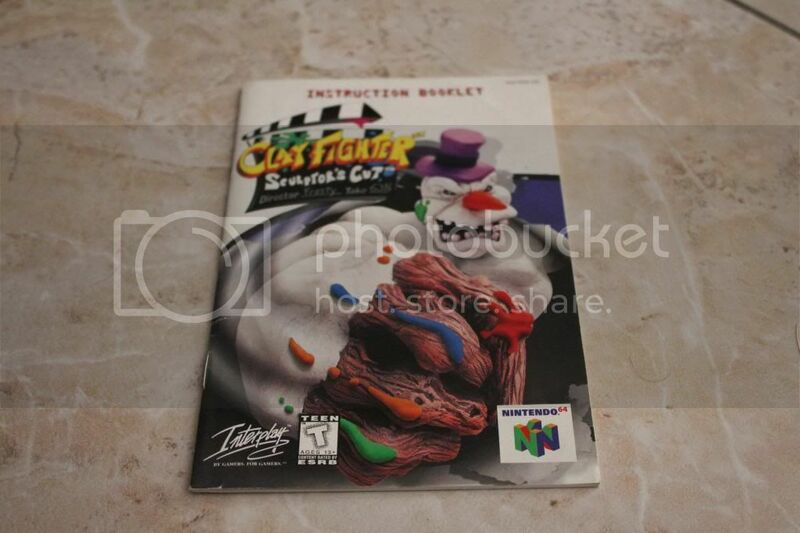 Clayfighter Sculptors cut is by far the highest valued CIB game for the system currently and will probably stay that way for a while. I also ended up getting a sealed copy of Blitz Special Edition and Hydro Thunder which is nice to have. The few titles I have right here range from $90 dollars and up currently which make them some of the more expensive titles in the N64 library in there complete form. According to Nintendo Age, this is actually the rarest item for the N64 with a rarity of 9/10. It is also now the most expensive item in my whole Video Game collection. Three manuals by them self have just sold for over $1000 dollars each on eBay, which might actually make them the most expensive manual out there across any system but I honestly do not know if that is true. During my last post I had 2 shelfs displaying my collection but since then I got my other two shelfs in the mail and I now have my complete game collection minus my sealed game collection displayed. This will however be my last post for a while on getting these N64 games. It is now getting to the point where the titles are not showing up as often or the ones that are available are in to poor of condition for me to want to add it to my collection. But to end this on a good note, I have more then enough duplicates that I would love to trade or sell to some other collectors on the page if anyone is interested. 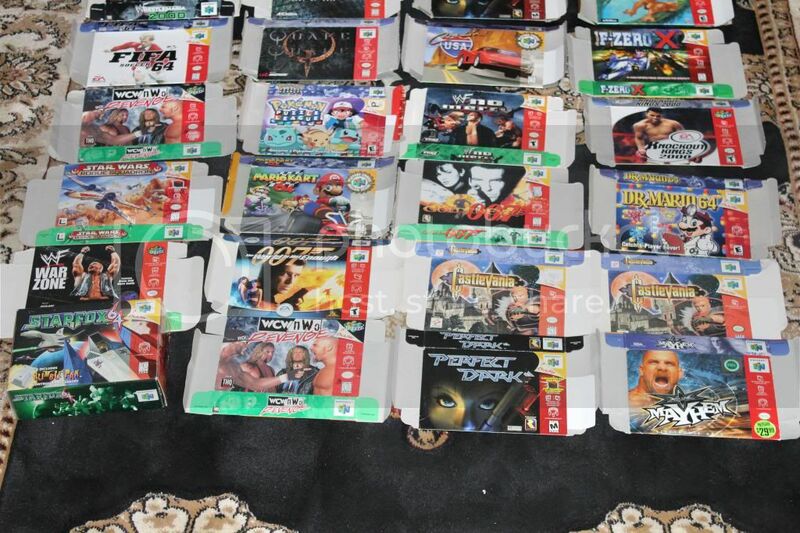 All these titles have the games in them but only a select handful have the manual. I can give you better photos and detail about the item if you are interested. 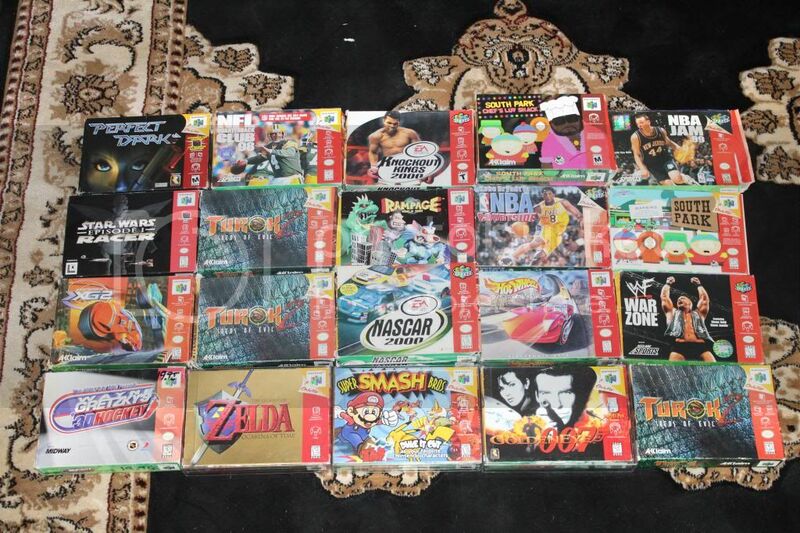 All these titles are just empty N64 boxes. These our the titles I am currently looking for. But please only in CIB form. I now have a ton of duplicates because of finding the box and manual by it self is so low I had to rebuy alot of stuff in it's complete form. 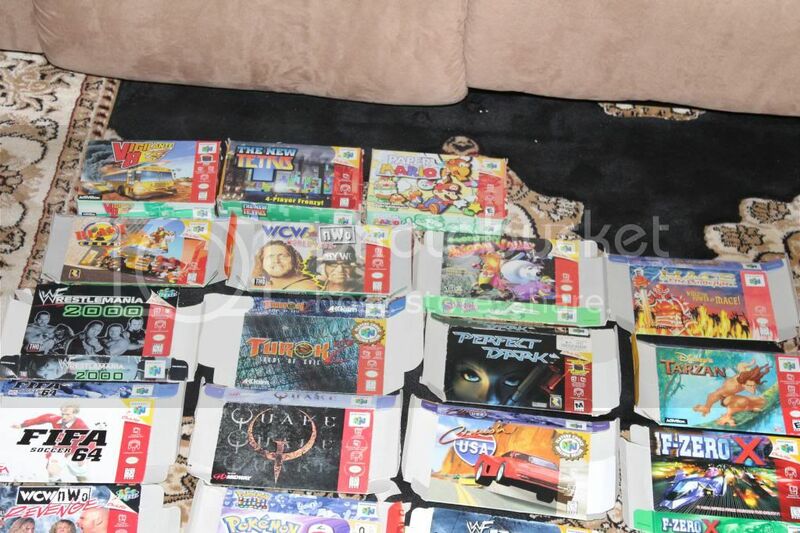 If you are trying to get loose cartridge games you can look under my profile as well and only the games that show duplicates are the cartridge games I have for sale or trade. None of my duplicate box games are reflected on Rfgeneration. They look fantastic on a shelf. BTW, why do you have the box protector tabs facing the front of the box? @techwizard: Thanks Tech I will go ahead and take a look at the list in a bit. At work right now. @Raidou: Yea I really love the way it looks displayed on the shelf. I honestly just had them going that way for a bit and now I have just kinda left it like that. Maybe I will switch it to the back side on day but it is a lot of games now to switch around. Congrats on getting to the half-way point in your collecting goals! Those games sure look great on the shelf. Best of luck in the rest of your collecting journey! The Atari Air Raid Manual, Stadium Events Manual, Flintstones Surprise at Dinosaur Peak manual, and several on the Neo Geo AES all command at least as much as the Sculptor's Cut Manual. I'm sure there are several more that I'm overlooking as well. Collection looks fantastic!! When I'm done with my NES set I'll likely go for a CIB N64 set. I've got about a third of the boxes already, just need to fill most of them with games. I hope it looks even half as good as yours when I'm done. Can't wait to see you finish it off. @Fleach: Thank you Fleach. It will take a while but I am sure the feeling once it is complete will be wonderful. Wow, very impressive stuff Tadpole! Unfortunately for buyers, N64 prices have skyrocketed over the past year or two. But, I don't see the prices falling any time soon. If you decide to sell your Sculptor's Cut in the future, I can see it commanding much more than what you have paid for it. For Value you wise I hope so but if not hopefully it stays around the same price. I have noticed this is the highest N64 has been in a long time. I really hope I am not buying at the wrong time. But reguardless as time goes on these boxes are going to get harder and harder to get so it is good to get now. Nice collection and well organized. Your shelving, games, and memorabilia look fantastic. 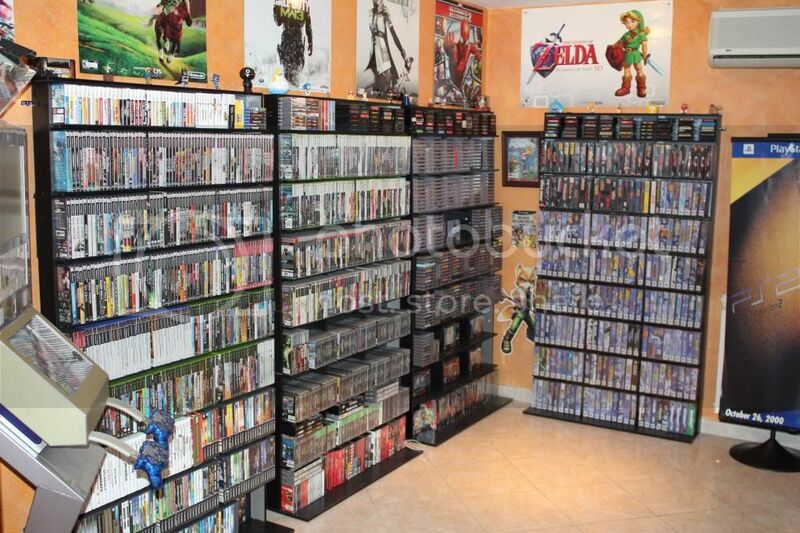 Good luck in filling your N64 collection out and let me know if I can help. @singlebanana: Thank you I really like to keep stuff organized. Directly across from my game collection I have my Video game neon lights and other cool video game stuff displayed. I have a handful of more stuff not displayed as well in boxes just because i hate clutter lol. One day when i own my own place I plan on really making a basement look awesome. My newest addition to my collection is a playstation 1 vynal banner and a 8 foot wide Hal0 4 vynal banner and I have a dreamcast on on order. There really is some cool. video game stuff on the internet. Also you can help if you have any of the games listed I am still looking for most of them. Nice, collection. Are you still in Italy? I need to buy a wii accessory from Italy. 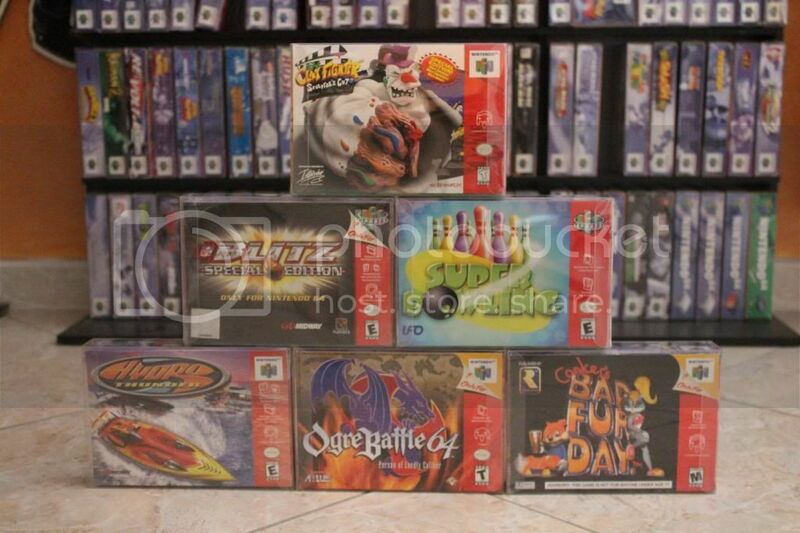 How is your N64 box collection coming? Awesome collection. I am attempting the same thing. Only have 65 as of now, and games like clayfighter sculptors cut are going for ridiculous prices right now. Any tips on what games I should grab first?